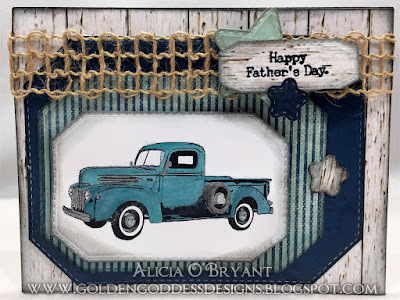 Blog Quick Quotes: Masculine Card Inspiration with Alicia! Masculine Card Inspiration with Alicia! Good morning! 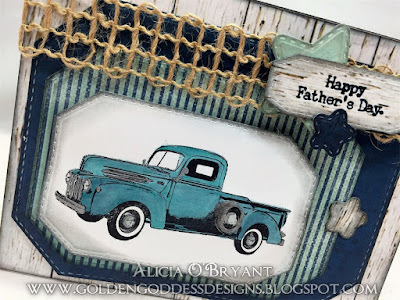 Alicia here today with some Father's Day inspiration. 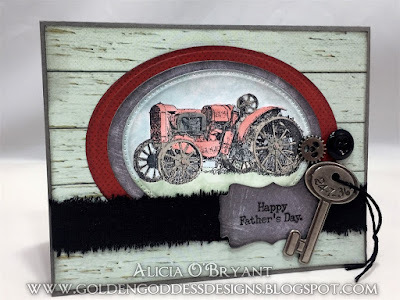 I made these two cards for my father and father in law, I love the woodgrain paper so much I used it on both cards. This first one I sent to my dad. I started with the image, a water brush and an assortment of PowderPuff Chalking Inks. I used the same water brush to color all the image and the background. I love how the water color effect made a really great sky and grass in one layer. 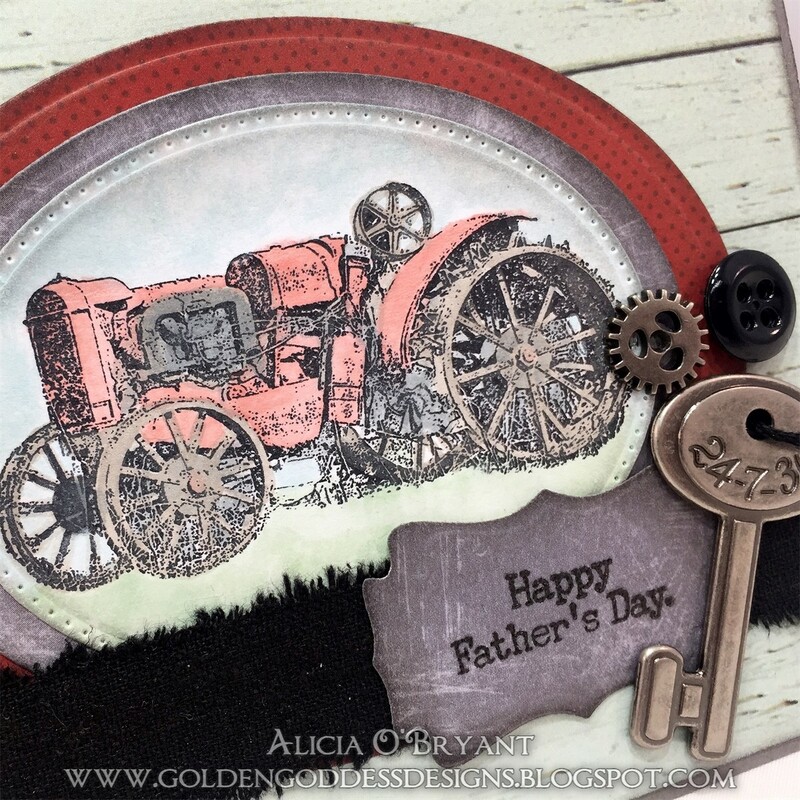 The tractor's red took a few layers of ink to get the color more vibrant. I then layered my water colored image on a few die cut layers of papers from several different collections: Adventure Awaits Paper Pack, 49 Shades of Grey and Urban Oasis. I stamped and die cut my sentiment. I inked all the edges generously and added some finishing touches of fiber, button and metal embellishments. My second card is for my father in law. I think he will enjoy this one very much. He always saves my cards. 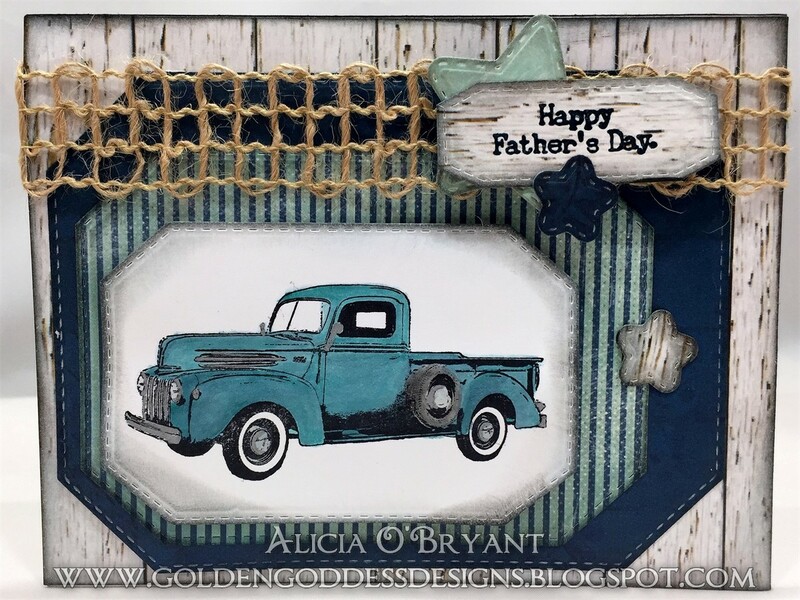 On this image I used several blue hues of PowderPuff Chalk Inks and a water brush to create just the "old" blue color I was looking for in this image. I complimented the image with blue papers from various collections of Quick Quotes papers. I stamped my sentiment, die cut some pieces and added some unique fiber. I inked all the edges and adhered the pieces down to my card base. I touched some of the "metal" pieces of the truck with a metallic silver pen for some finer detail.